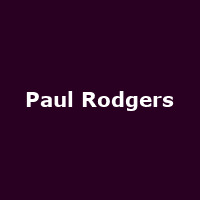 After recently departing from his five-year tenure as Queen-vocalist, Paul Rodgers has literally broken free (cough) and opted for a solo UK tour with some very special guests as the support act. Linking-up with several members from his early band Bad Company earlier this year, Rodgers' live impetus now continues next year with ten dates around the UK as a soloist, beginning with Blackpool on 15th April, followed by the usual stopovers (Glasgow, Manchester etc) until the two biggies in London (Royal Albert Hall - 27th) and Birmingham (NIA - 28th). Tickets for the tour will go on sale on Saturday 20th November at 9am. In the support role will be Def Leppard's Joe Elliott with his crack band Down 'n Outz, featuring members of The Quireboys and Raw Glory. The band released its debut set this year and, coupled with the powerful voice of the headlining Paul Rodgers, this promises to be a memory-jogging, as well as fresh-sounding, rock n roll evening with two legends of the genre still at the peak of their game.